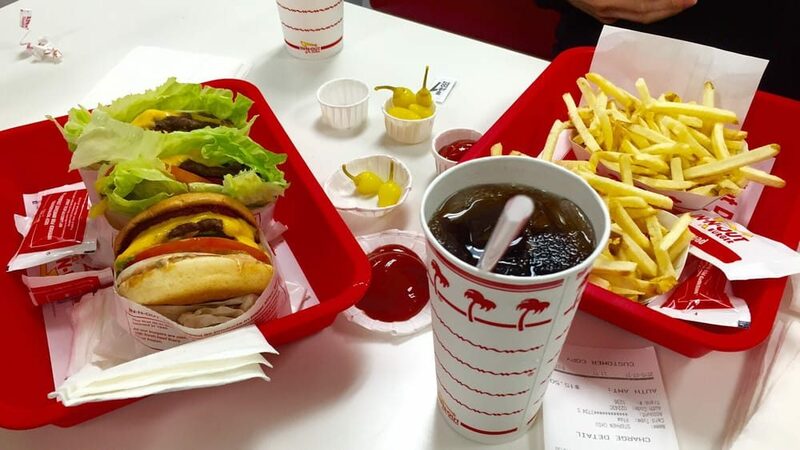 In-n-Out is one of the United States’ most popular burger restaurants, and for a good reason, they offer good food and great options for people with all sorts of tastes. What some customers of In-N-Out might not know is there are even more options than they let on, if you know what to ask for. 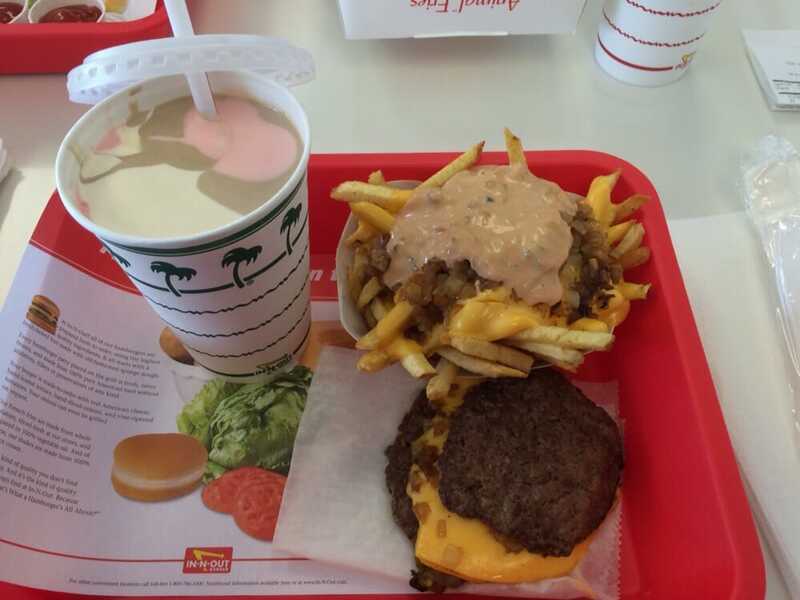 The following are some of the top secret menu items you can order from In-N-Out. The name may sound a bit odd, but putting the strange name aside, animal style is actually a very delicious secret menu option at In-N-Out, and is popular because of the great taste it adds to your fries or hamburger. 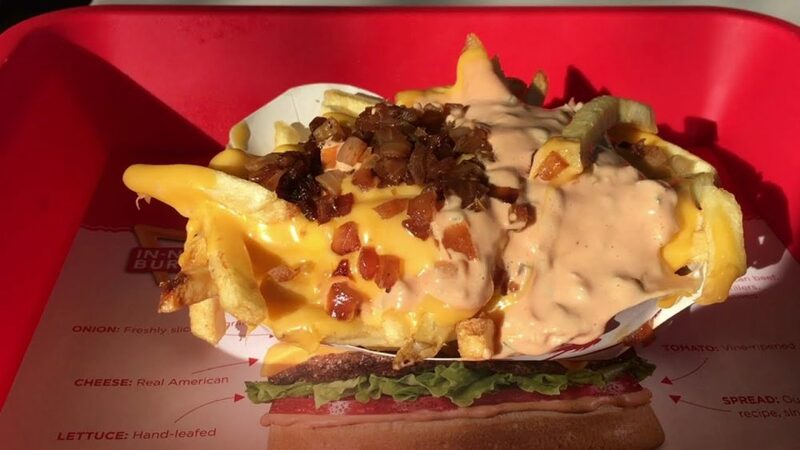 You may have heard of animal style, not because the fast food restaurant themselves has the option on the menu or suggests that you give it a try typically, but because it has been a huge hit that the internet can’t stop talking about. If you have never had anything from In-N-Out animal style, I would highly suggest going to your nearest location and ordering either animal style fries or a hamburger right now. What exactly is animal style? Well we’ll start with animal style fries. They’re regular everyday fries, which are then smothered in cheese, In-N-Out’s well-known special sauce and some grilled onions. It doesn’t sound like it’s anything to die for, but until you have actually had them, you won’t understand just how amazing this simple sounding combination of ingredients is. Eaten on their own or in a combination with a hamburger, these fries are something that everyone should try at least once in their lifetime. The second animal style option is a hamburger animal style, which is a lot more known than the animal style fries option, but still just as delicious. 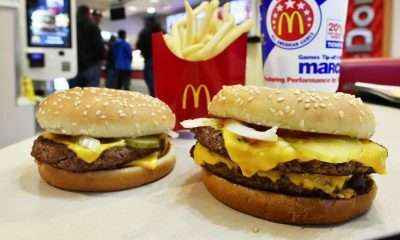 You can probably guess what this hamburger is made with for the most part, extra pickles, special sauce and onions, but what you may not have guessed was that this hamburger style also includes a mustard grilled burger, which will be explained later in this article. These two secret menu items have proven to be two of the most popular when ordering at In-N-Out, making them more of a well-known secret than most of their other secret menu items. 9. A couple off menu additions. Not everything on the In-N-Out secret menu is a full dish on its own, sometimes the best secret menu items are those things that you can add or change about your favorite food item, and these next two items prove that to be true. We’ll start with one that is more geared towards people who have very specific tastes, and that is the cold cheese option. This isn’t anything super crazy or weird, when you ask for your burger with cold cheese at In-N-Out you’re simply just asking them to keep the cheese un-melted. Now this doesn’t seem like something that would really matter either way, cheese is cheese, but for some of the more particular eaters out there, this secret menu option is exactly what they want. Aside from un-melted cheese, you can also ask them to add chilis to your food. These small peppers are a great way to add a bit of heat to your food, and can be ordered on hamburgers or fries. If you enjoy spice, give it a try, it might add that bit of kick to your food that you love. These two menu options aren’t for everyone, especially the chili peppers if you aren’t great with spicy food, but they are something you can always try once to see if you would enjoy it. You can also get some of In-N-Out’s special sauce on the side, it comes in packets that can then be added to whatever you would like to add it to, for those who really love the sauce. 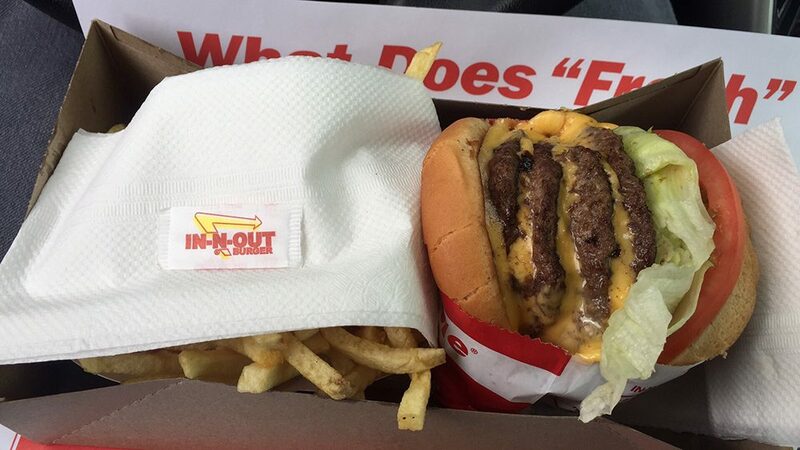 A great option for vegetarians who may want to enjoy the In-N-Out classic taste, the grilled cheese is in essence a cheeseburger without the meat. 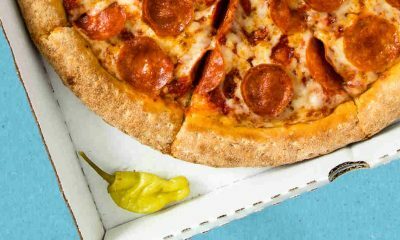 You can customize it a little, adding or taking away any vegetables or toppings that you may not like, or even adding the previously mentioned chili peppers. It’s a fairly basic sandwich option at In-N-Out but one that provides vegetarians (or anyone if they wish to eat it) with a little more of a choice when it comes to eating at the well-known burger restaurant. You can also ask for the buns to be toasted a little extra, adding more of that satisfying crunch to the bread when you bite into your In-N-Out grilled cheese sandwich, or ask for extra cheese if you like your grilled cheese to be even cheesier. The best part of this are the elements that most grilled cheese doesn’t have, including the vegetable options as well as the signature In-N-Out burger sauce. Ordering the In-N-Out secret menu grilled cheese isn’t just an option for people who are vegetarian, but also for those who just want to try something a little different from their regular burger, or maybe just aren’t in the mood for the meat patty that comes in most hamburgers. Whether it’s a permanent dietary choice or just a choice every once in a while, the In-N-Out style grilled cheese is a tasty option that can’t be found on their regular every day menu. 7. 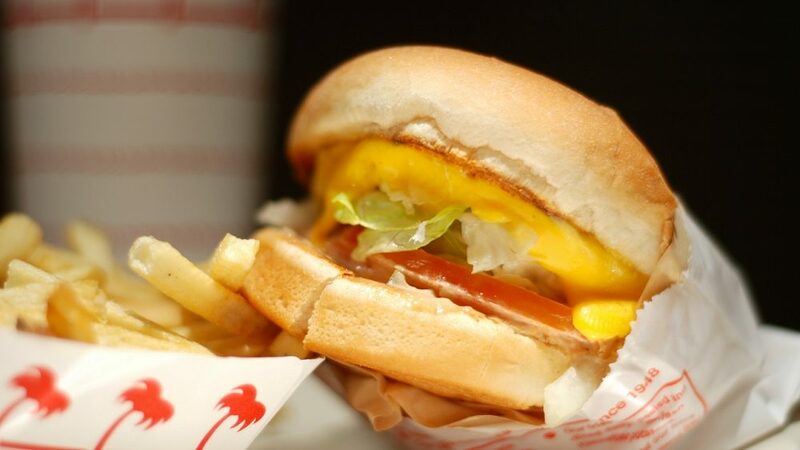 Flying Dutchman – Animal style. The Flying Dutchman is another popular secret menu item at In-N-Outs, an option that is just two burgers with cheese melted between them, no buns, sauce or vegetables required, but did you know that you can combine two secret menu items? 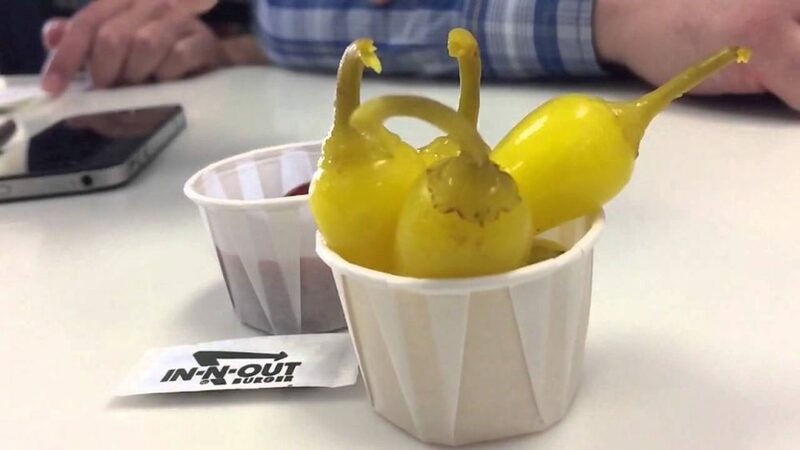 The Flying Dutchman Animal style is the typical version of the Flying Dutchman but with diced onions, pickles and spread, which is typically referred to at In-N-Outs as animal style. The pickles and spread come on the side, and you have to add it on your own, but it is a great option for those who enjoy meat and cheese but want a little bit more flavour in there as well. This secret menu item was born from some genius who decided that two of the more popular secret menu items available at the burger restaurant should be combined together to make one very delicious item for those who wish to skip the bun and the lettuce and enjoy a more basic meat-based meal. 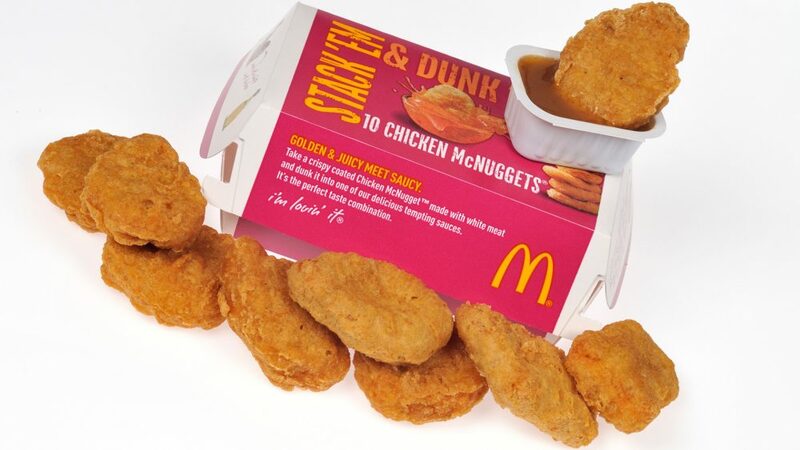 This secret menu item may be one of the messiest things you will ever eat, but if you don’t care about vegetables or bread, it is one of the most delicious things you will ever eat as well. Geared towards those who can’t get enough meat in their hamburger, the Flying Dutchman animal style will have everything you could ever want from a hamburger that has the actual hamburger patties as the buns. This is for those that feel like attempting to be just a little bit healthier when eating at In-N-Out, and even if eating a fast food hamburger isn’t the healthiest option, you can at least attempt to make it a bit better for you without losing all the best elements of what makes In-N-Out hamburgers so great. Simply put this hamburger is the same as any other hamburger on the inside, but it is wrapped in a lettuce wrap instead of between two buns, cutting just a bit of those carbs out and making it the slightest bit healthier. If you don’t care about the bun on the hamburger one way or another, you may as well order this secret menu item and make it just a bit healthier. This is sort of reminiscent of the Flying Dutchman, but with just a few more vegetables, and a little less basic than the classic Flying Dutchman. 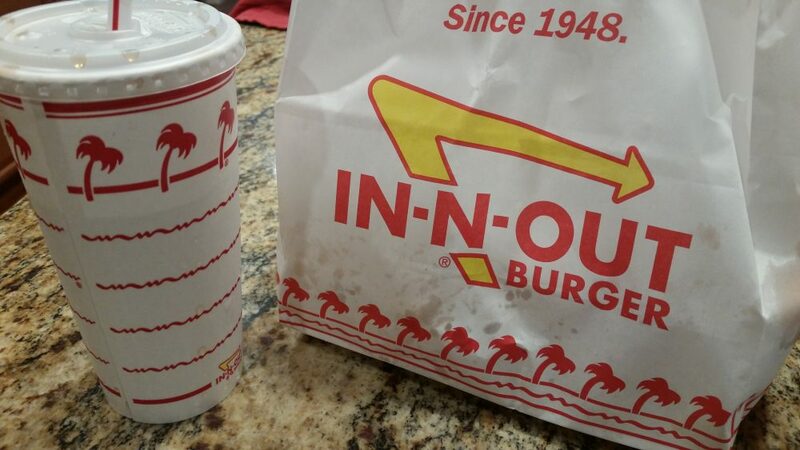 It’s also a great option for those who can’t or don’t want to partake in gluten, making it easy for them to enjoy a great burger from In-N-Out without the gluten. Every little bit counts when it comes to eating healthy, so if you’re trying to be just that little bit better at it, but still want that delicious In-N-Out burger you crave, try getting it protein style! We all know it’s hard to give up those foods that aren’t considered healthy but we love so much, so this secret menu option allows you to feel at least a little better about eating at In-N-Out. 5. The mustard grilled burger. The name for this hamburger states exactly what it is, it’s a secret menu item that consists of the cooks covering the hamburger in mustard before cooking it. It may seem simple, but it adds a little bit more kick to the hamburger when the mustard is cooked on it instead of just put on once it’s done cooking, it also adds just a tiny hint of a crunch to the burger patty itself when it’s cooked using this method. It’s a pretty unique style of cooking, not many places offer it, and you need to know what to ask for when ordering it, but it could very well be your new favourite style of hamburger. 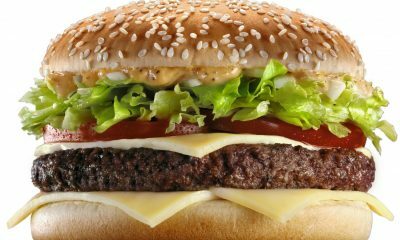 This style of hamburger is used in another secret menu item, the animal style hamburger, but it can be added to any hamburger you wish to add it on, not just the animal style burger. For some it may not be their cup of tea, but everyone should try it at least once, you never know if you might end up loving this style of hamburger patty. 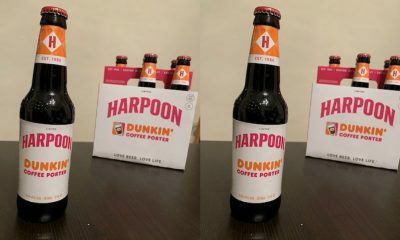 It can add a new twist on your favourite classic In-N-Out hamburger, and give you something new to order every once in a while, instead of getting the same thing every time. Milkshakes are some of the most popular sides in any place that serves them, and there’s usually at least the three basic flavours that everyone enjoys: strawberry, vanilla and chocolate. In-N-Out is no different, offering these three classic flavours to their customers, and as expected they are fairly popular. A lot of people don’t think beyond the listed flavours of milkshake that can be found on the menu in front of them, and those people are missing out on the true potential of this fantastic dairy treat. What most customers may not know, is you can order any two milkshake flavours mixed together, this secret menu item is called the 50/50. This secret menu item opens up a few new flavour potentials to broaden your milkshake horizons, making it a little more fun when ordering this ice-cream-based side at In-N-Out. If you’re not satisfied with just two of your favourite milkshake flavours, you can also mix strawberry, vanilla and chocolate all together to create another secret menu item, the Neapolitan milkshake. If you’re a fan of Neapolitan ice cream, then you’ll probably be a fan of the same flavour, milkshake style. If you’ve never tried Neapolitan ice-cream, give this milkshake a try anyway, it might just be your new favourite flavour. There’s a third secret menu milkshake option, and that’s the rootbeer float. It’s exactly what it sounds like, vanilla ice cream mixed with rootbeer to make a milkshake with the flavour of the classic rootbeer float. 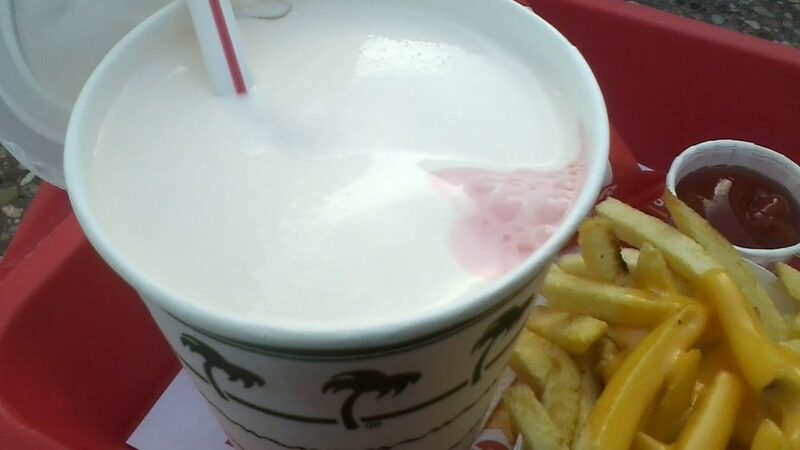 Instead of limiting yourself to just one flavour, give In-N-Out’s secret menu milkshakes a try. 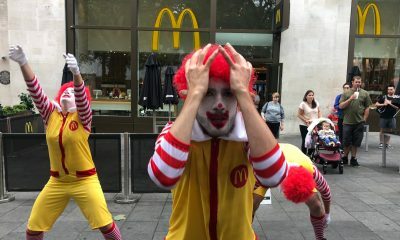 When most people thing of veggie burgers, even fast food ones, they picture a sort of regular looking hamburger patty that is actually made out of vegetables instead of meat. At In-N-Out, they’ve skipped that step and simply removed any trace of a hamburger patty from their veggie burger, and just kept the vegetables and sauce between the buns. This might sound like it’s sort of boring, but it’s a great option for those who are avoiding meat for any reason, or if you just feel like switching things up and eating a bit healthier. 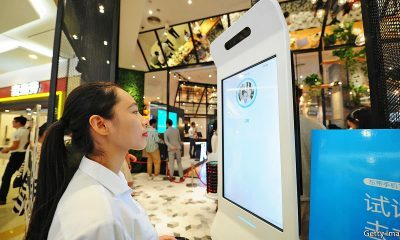 You can pick and choose what vegetables and sauces you would like on it, creating the possibility for quite a few flavour combinations, and on top of that you can also choose whether or not you want to add cheese. This secret menu option allows for some wiggle room when it comes to what it tastes like, meaning that if you want to eat at In-N-Out but wish to avoid meat, you aren’t eating the same thing every single time. For a little bit of extra flavour and kick, you can always get grilled onions add on, or even the secret menu option of chopped chili peppers if you’re really looking for something to spice up this dish. Whether you avoid meat for personal reasons, or because of dietary restrictions, this is a great secret menu option that allows you to still eat at In-N-Out. This secret menu option doesn’t exactly bring a new flavour to the table, what it does bring is more of that taste you love in one hamburger. If you’re feeling particularly hungry and feel like having some In-N-Out, these are the secret menu items are for you. 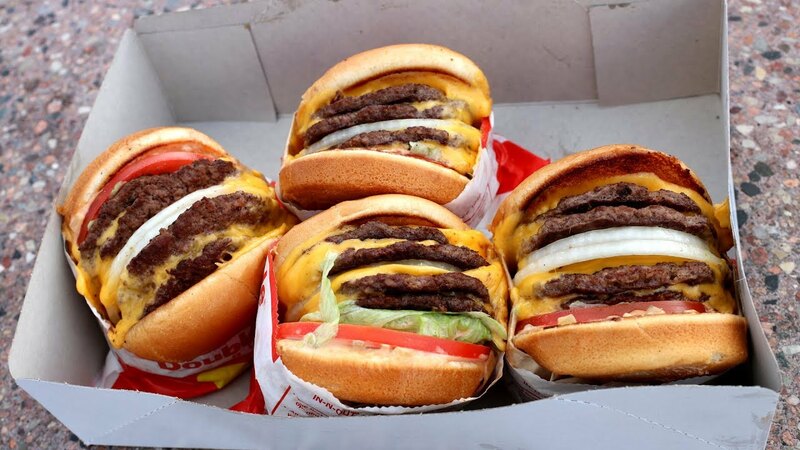 Simply put, the 3X3 burger is a regular In-N-Out style hamburger, but it has three hamburger patties covered in three delicious slices of cheese, and as you can probably guess, the 4X4 adds yet another patty and slice of cheese for those who are very, very hungry. These options are sort of a specialty item, geared towards those In-N-Out customers that have an appetite that one or two patties can’t fulfill. Not only do you get that extra fill-up with these two secret menu items, but you also get some extra flavour, adding extra meat and cheese means more of that great taste you love. If you’re feeling particularly adventurous you can even order a 3X3 or 4X4 animal style, or add chili peppers to the hamburger. There are all sorts of ways to customize your 3X3 or 4X4 to make this secret menu item even more enjoyable for yourself. 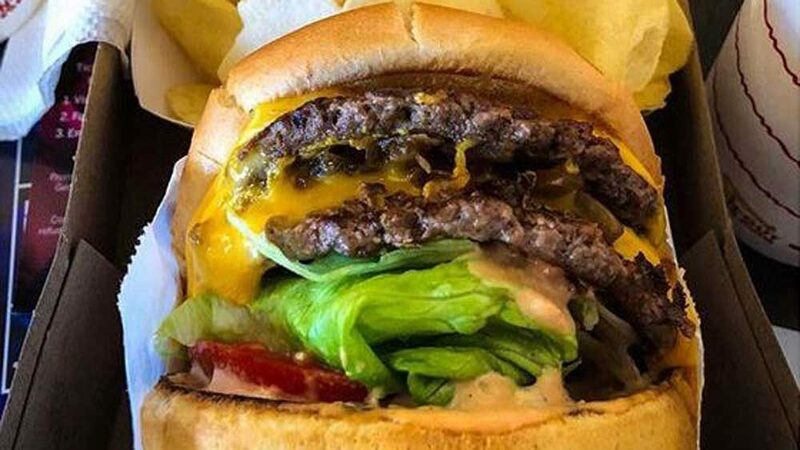 If you love In-N-Out and you’re the type of person who can handle three or even four patties on your hamburger, then you should definitely give this secret menu item a try. 1. Fries done the way you want. Perhaps one of the lesser known secret menu options at In-N-Out, these aren’t some new flavour added to a dish, these are just options for how your fries are cooked. 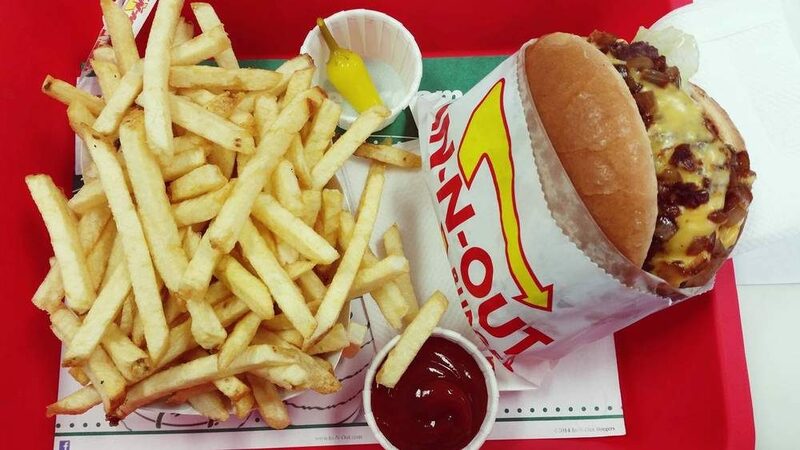 A lot of people wouldn’t really think of asking for their fries to be cooked any differently than normal, but if you want a different experience with your In-N-Out fries, there are several different options for you. The first option I’ll mention is well-done, this secret menu option is exactly what it sounds like, getting your fries cooked for an extra amount of time. Getting them well done makes your fries crispier, and makes them stay crispier for longer as well. If you like your fries done the opposite way, you can always ask for them to be done light, which is simply cooking the fries for a little bit less time than usual, which leaves them not so crispy but instead limp and soft, which some people like better. To some people it may not seem like a big deal if your fries are cooked any differently, but there are quite a few people out there who prefer their fries a little crunchier, and even a little less crunchy. 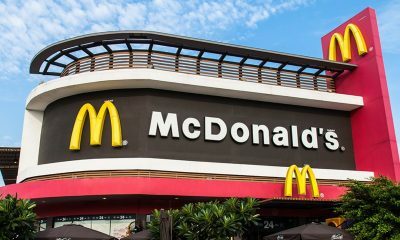 If you fall into either of those categories, then these secret menu options will leave you just that much more satisfied with your fries from In-N-Out.